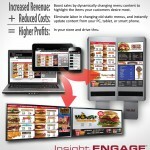 Insight Engage Digital Menu System B2B print ad – Delphi Display Systems, Inc. Created entire ad, copy, graphics and layout. 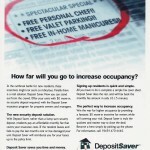 Deposit Saver commercial customer print ad – HomeAccess, Inc. Provided art direction and copy writing.